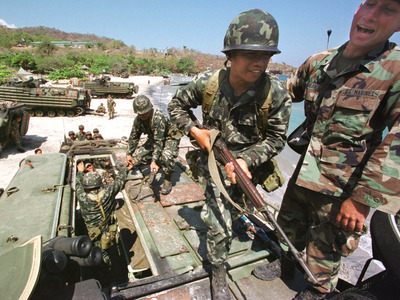 Gabriel Mistral/Getty ImagesFilipino Marines engage in a training exercise with the aid of US Marines. Have you ever screwed up at work so badly you accidentally declared a country was at war? 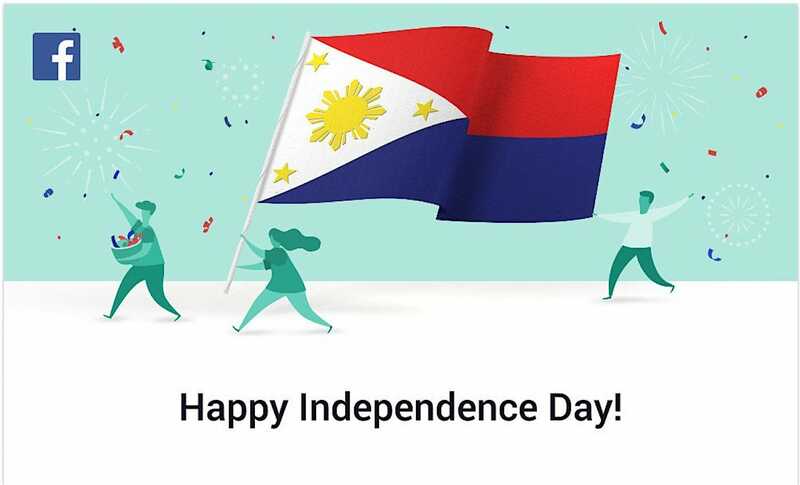 On June 12, the social networking giant displayed a banner to its users in the Philippines, wishing them a happy Independence Day. “Here’s to all of the Philippines’ health, happiness and prosperity,” the message read, beneath a stylised woman carrying the country’s flag. As The Philippine Star reported, there was just one problem: The flag indicated the Phillipines is at war. Normally, the Phillipines flag is blue on top and red below (along with a yellow sun and three stars in a white triangle). But unlike most flags, it can also be flipped upside-down — so red is on top, and blue is below — when the country is at war. It’s this second “war flag” that Facebook displayed. 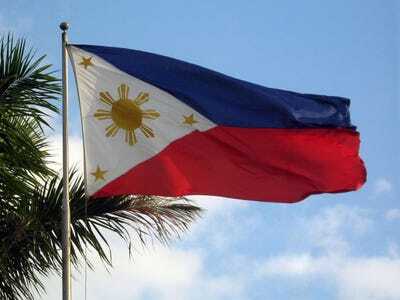 Camille Conde/TwitterFilipino citizens really don’t want to see this flag. Mike Gonzales/Wikimedia Commons (CC)That’s better!